Do you know how to get this American all choked up?! Put her in the middle of a Costco surrounded by huge packaging she has no idea where she's going to put when she gets home, somewhat familiar surroundings (like that in America) and the challenge of figuring out whether the huge package of whatever is a good deal. Give her a voucher for £14 off at the checkouts and a three coupons for FREE products and she might just explode with joy. 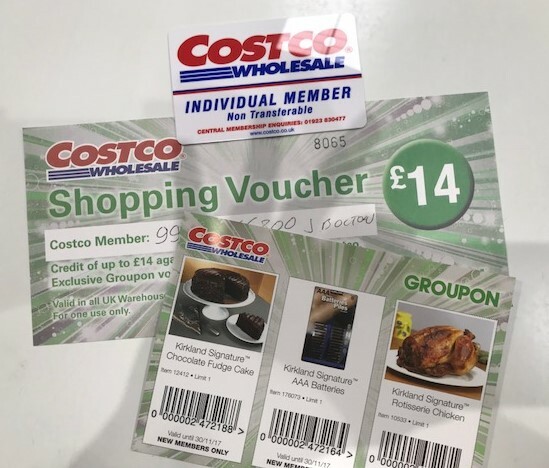 So this trip to Costco started a couple of weeks ago when someone posted to an Facebook page I'm part of about Costco and whether a membership was worth buying for the American products. It has crossed my mind a couple of times before that this may be a worthwhile investment because we always bring back so much from Ohio when we visit and if we could possibly buy them in the UK instead, it'd save us a lot of effort bringing things back with us every summer. Comments to the question asked made me look into the membership, but it would cost about £36 for the membership. Perhaps that wouldn't be worth it. Then a few days ago, someone posted an update to the same Facebook page that Groupon had a deal on an annual membership for £28 plus a £14 off voucher and freebies. Wow! But wait... there's more. I know there's usually a discount code for Groupon... so after a little search and a few attempts to find a discount code that works, I got a discount of 20% off the £28. So we paid £22.40 for the annual membership. 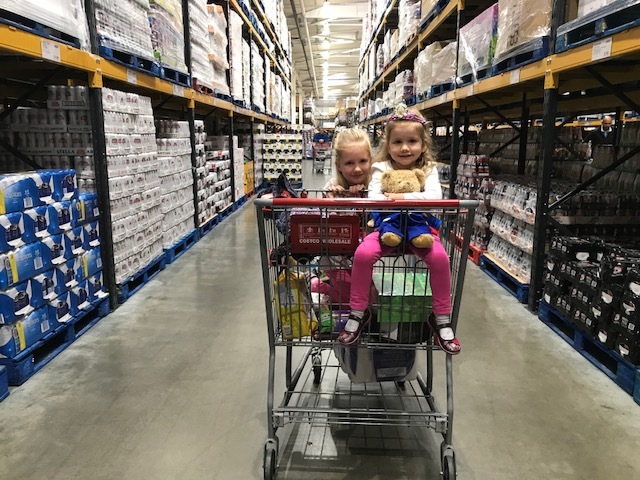 Now one drawback is that our closest Costco is 35 minutes away in Birmingham, so I won't be able to go too often... maybe that's a good thing! However, even if we just go once, it'd be worth it because of the coupons. We had fun looking around the warehouse and sampling a few tasty treats. 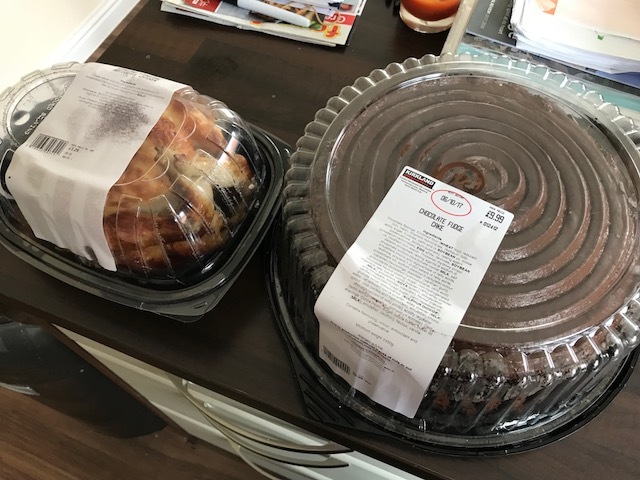 I made sure to pick up my free rotisserie chicken (worth £3.29) and HUGE chocolate fudge cake (worth £9.99)... we'll get the batteries next time. What else did we buy? Lots of toilet paper, 1L of maple syrup (the same exact one I bought my mom in Ohio), 6 boxes of Kleenex tissues for less than £1 a box, 3 pints of Ben&Jerry's cookie dough ice cream for £6 (my daughter's favourite), 44 packs of microwavable popcorn (this one is a gamble because I don't know if it'll be any good), a big can of coffee, guacamole, raspberries... and diesel. Yep, Costco even has a petrol station that sells fuel cheaper than where we usually fill up. I can't lie, I was slightly disappointed there weren't more American products there that I would usually bring back to the UK with me, but there are big bags of chocolate chips there that I'll get another time. As always I went through the store scouting good prices. The only way I can do this is by knowing my prices, like I always say.